Electricity for drivers charging at work will no longer class as a Benefit-in-Kind. The current system classes electricity used to charge privately-owned vehicles at the workplace as a Benefit-in-Kind, subject to tax based on the cost to the employer. This does not apply to company-owned vehicles. 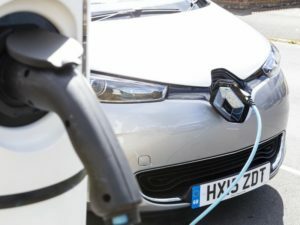 With the aim of encouraging greener vehicles, Chancellor Philip Hammond said the Government would “clarify the law” to ensure those topping up at work don’t face a Benefit-in-Kind charge from next year. There was no indication of how this relates to home charging. Reimbursed or company-provided electricity for charging electric vehicles at home is classed as a Benefit-in-Kind under the current system. For mixed or business use, the employee is entitled to a deduction for the cost of business miles covered.